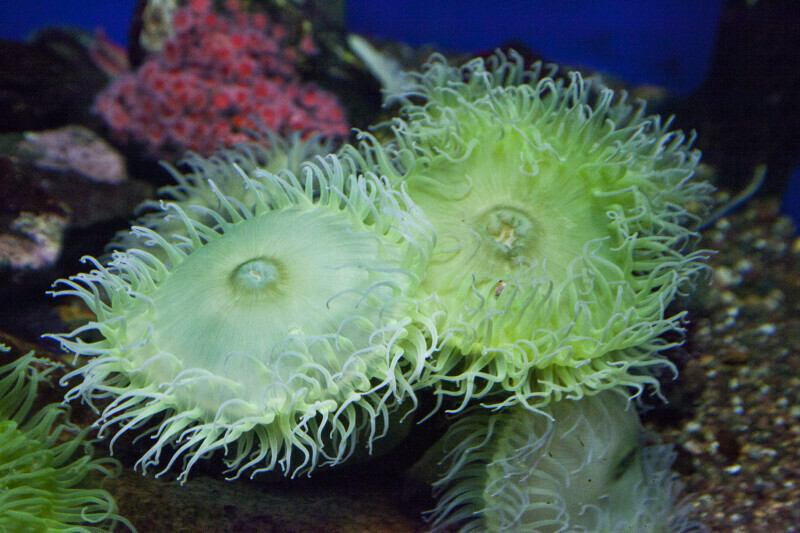 A light green sea anemone at Denver's Downtown Aquarium. Despite their stationary nature, sea anemones are animals of the phylum Cnidaria, characterized by the stinging cells they use to capture prey and ward off potential predators. WARNING: You are about to download a 58.1 MB TIFF!